On Saturday’s show with Michael Varhola, the discussion rolled around to how it is becoming more and more difficult to get permission to investigate historic (and of course, paranormally active) sites. This is not because these sites just want to shun the curious, it is because they’ve been burned by individuals and teams claiming to be investigators who trash the property on which they’re “researching”. 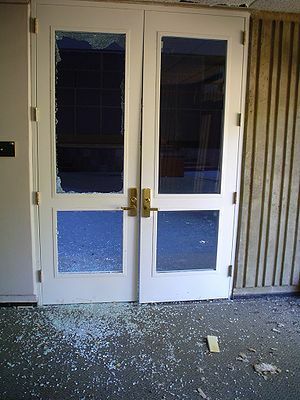 Extreme cases even involve thrill-seekers and outright vandals causing irreparable damage (think open fires here…) and destroying artifacts and the like. I personally felt these sorts of instances were the exception, not the norm. Sadly, my opinion is changing with the growing number of true investigators coming forward with stories of sites refusing them access because of a case of property damage from another group in the past. This gets me really fumed! Everyone out there who cares even a tiny bit about preserving the past, whether it be for historic education or for the opportunity to research paranormal activity, needs to draw attention to the people who are ruining it for the rest of us. I hate to see the paranormal community affected by the carelessness of thrill-seekers. I really would like for you to share your opinions on this topic, especially if your requests for investigations have been turned down because of the actions of someone else. That’s right – sound off! This entry was posted on June 22, 2009 at 9:54 am and is filed under From the Hosts, Ghosts & Hauntings, Listener Feedback with tags Ghost, Ghost hunting, Investigators, Paranormal, Research. You can follow any responses to this entry through the RSS 2.0 feed. You can leave a response, or trackback from your own site.